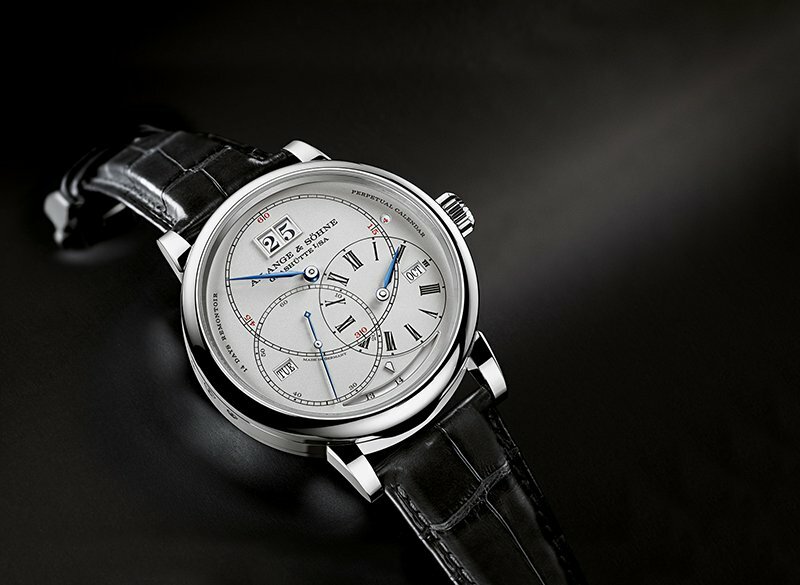 At SIHH this year, A. Lange & Söhne presented classical timepieces in a serene atmosphere lending to “sounds of precision”. He explained that it takes longer to manufacture an A. Lange & Söhne watch because more effort goes into it. Matthieu Dupont, Regional Director MENA, affirmed that the orders received from the Middle East boutiques will probably keep the brand busy “for several years”. To him, luxury is defined by service and haute horlogerie quality. Schmid views “cities” as a defining factor of luxury, as they have a strong local purchasing power or a strong purchasing power tourism, or sometimes even both -as is the case in Dubai. 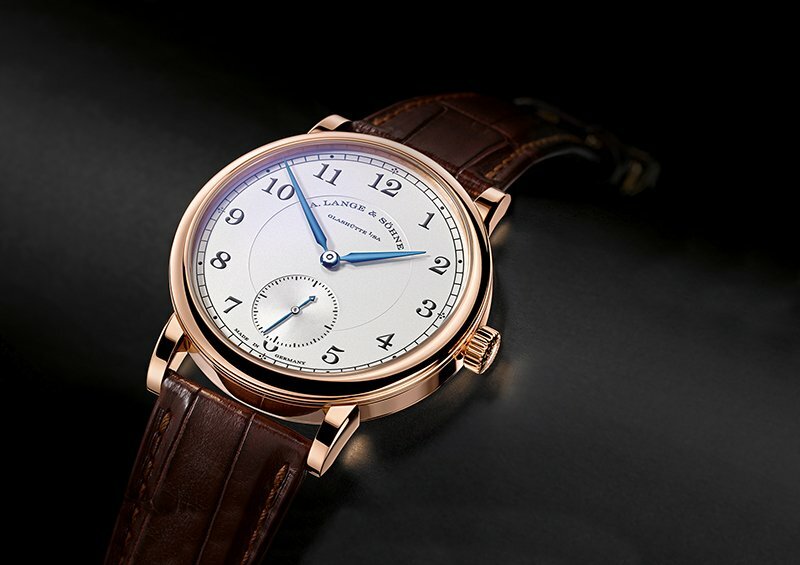 A. Lange & Söhne hopes to meet the expectations of Middle East customers with the new collections. The RICHARD LANGE PERPETUAL CALENDAR “Terraluna” is a horological masterpiece that combines A. Lange & Söhne’s benchmark precision, inventiveness, and design competence. Featuring an orbital moon-phase display, a perpetual calendar with the Lange outsize date, a power-reserve of 14 days, and a constant-force escape-ment, this extraordinary time-keeping instrument represents the pinnacle of Saxon watchmaking artistry. For the very first time, an A. Lange & Söhne timepiece unites the stop-seconds mechanism for the tourbillon with the ZERO-RESET function. The interaction between the two patented mechanisms makes it possible to stop and set the new 1815 TOURBILLON with one-second accuracy. 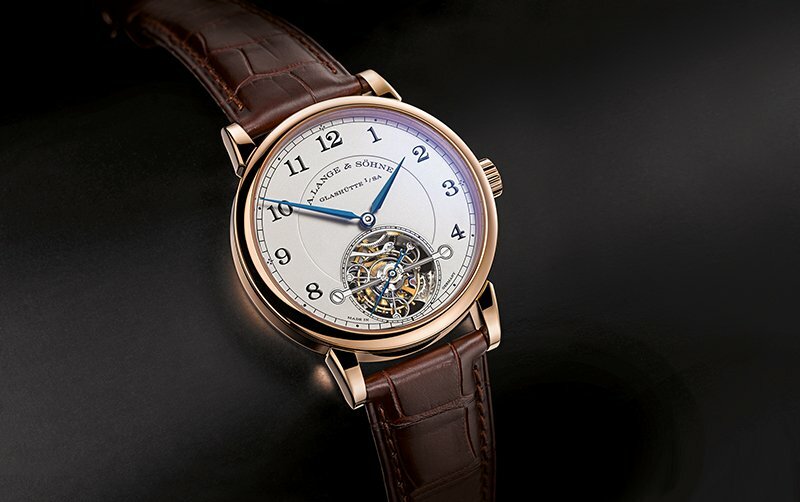 The 1815 TOURBILLON is designed for supreme precision. Unprecedented rate stability is assured by the one-minute tourbillon. The interaction between two patented mechanisms enables the watch to be set with great accuracy. When the crown is pulled, the balance inside the tourbillon cage stops instantaneously and the seconds hand jumps to the zero position. The watch can now conveniently be synchronised with a reference watch or a time signal. More than 200 years ago, the invention of the tourbillon was the ingenious solution to a serious watchmaking problem. Because pocket watches were generally worn verti-cally, the influence of gravity on the balance often caused considerable rate deviations. To offset this unwanted effect, it was necessary to constantly change the orientation of the oscillation system. 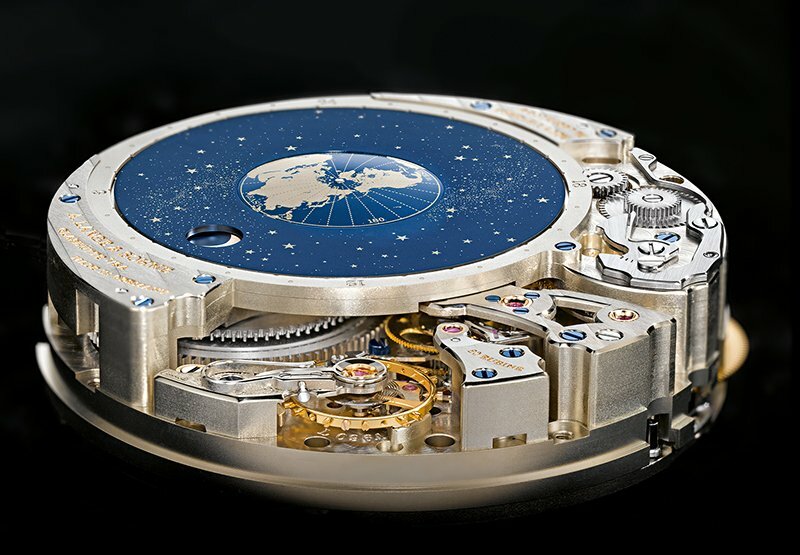 So the balance and the escapement were placed in a rotating cage, called tourbillon. This compensated position errors and increased rate accuracy. Since then, the tourbillon has lost none of its fascination. Its micromechanical complexity and artisanal finissage still symbolise engineering prowess and horological precision. With a 38.5-millimetre case and all of the unmistakable hallmarks of the A. Lange & Söhne style, the 1815 embodies the paradigmatic ideals of a sleek mechanical timekeeping instrument. Thus, it follows the horological standards upheld by Ferdinand A. Lange, whose birth year is reflected in its name. “Medèn ágan – nothing in excess” is one of the wisdoms of antiquity that advocates moderation and modesty at the entrance to the Temple of Delphi. Ferdinand A. Lange, the founder of the German precision watchmaking industry, may well have adopted it as the motto of his life. 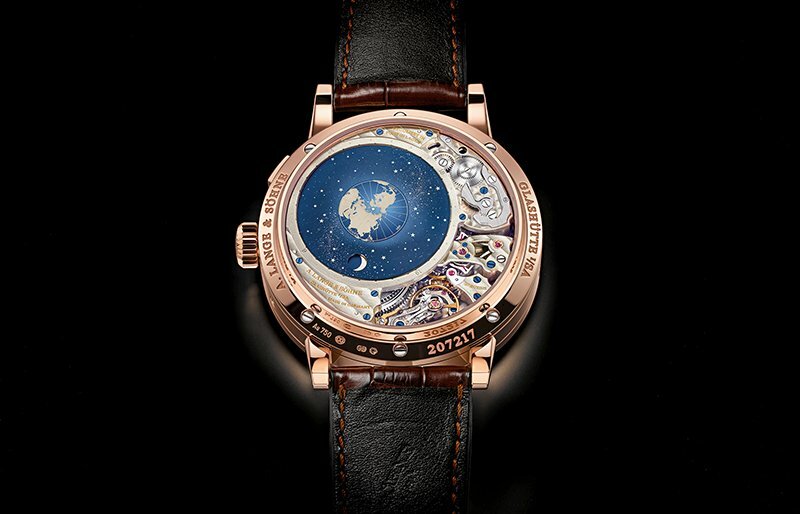 As a congenial expression of principles, it also characterises the style of his legendary pocket watches. They comply with his tenet that “each piece be as simple as possible and serve its purpose steadfastly and reliably”. This product philosophy also applies to the 1815. Each detail of its timeless design and each of the 188 parts of its manufacture movement derives its aesthetic appeal from the combination of functional integrity and immaculate craftsmanship.